Last Wednesday, I woke up with a headache and probably due to my colds that has been bothering me for a week now. Have you ever suffered from headache pain, you know how debilitating it can be. You simply can't look, feel or perform your best if you have a headache. I been staying up late and had to wake kind of early plus juggling a lot of work lead me to have a massive headache for a few hours. 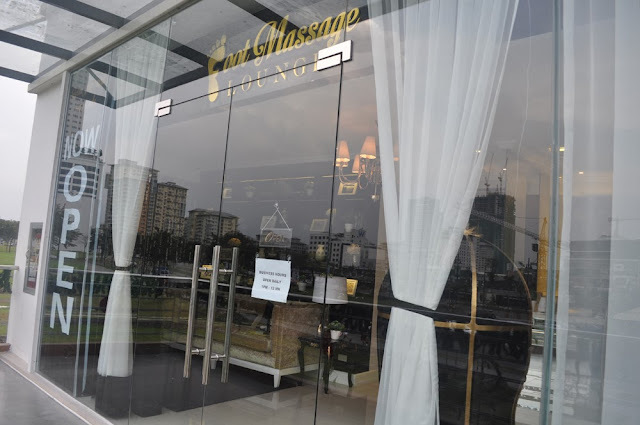 Luckily I was invited to Foot Massage LOUNGE which is located in the Bonifacio Global City that offers services that give your feet their much needed treat. I absolutely love foot massage! It's my favorite kind of massage and I would always ask my son to massage my foot but then he would get tired of it and I feel badly that he will complain so it feels so good that we relax our mind,body and sole in a place that we can get foot and body massage. Moms,Dads and Everyone will definitely love this place! 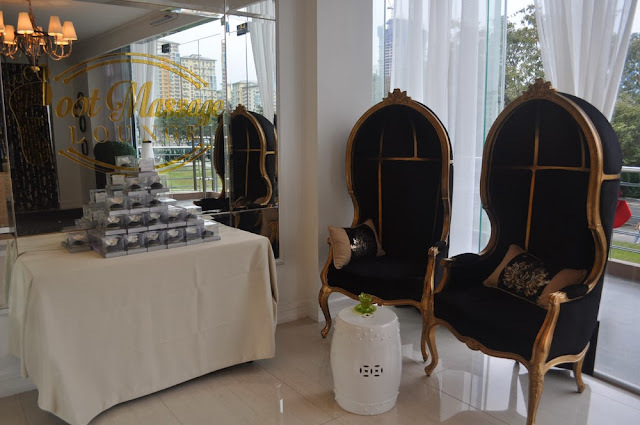 The location is also crucial, near the NBC Tent, as easily recognizable landmark in Bonifacio Global City and surrounded by restaurants in the new building. The experience starts with the relaxing modern ambiance that offers a quiet escape from city stress. I am inspired to decorate my future house with this living room. Nice noh? 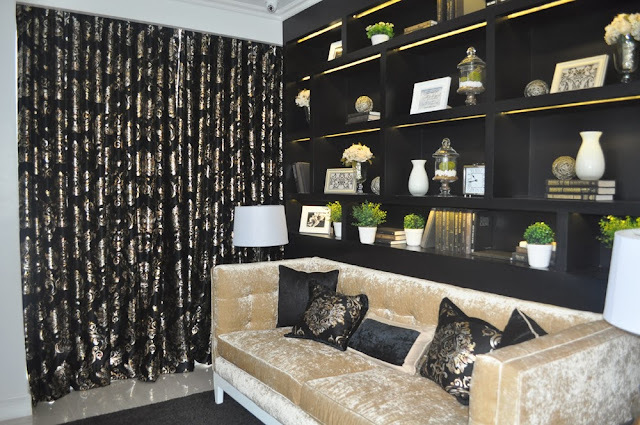 Ms. Cat Ilacad, who is the lady behind the hugely successful mani-pedi concept Posh Nails with its pretty pink-and-purple interiors opted for a black and gold palette for Foot Massage Lounge. This is to give the feel of elegance and opulence in preparation for the luxurious pampering from their highly trained massage therapists. Hardworking entrepreneur Cat Ilacad, herself is a fan of foot massage benefits, explains she is offering a different experience for clients looking for quality-me-time. "The usual set up in other massage lounges are crowded chairs in common rooms where one has to contend with t"he noise and chatter. 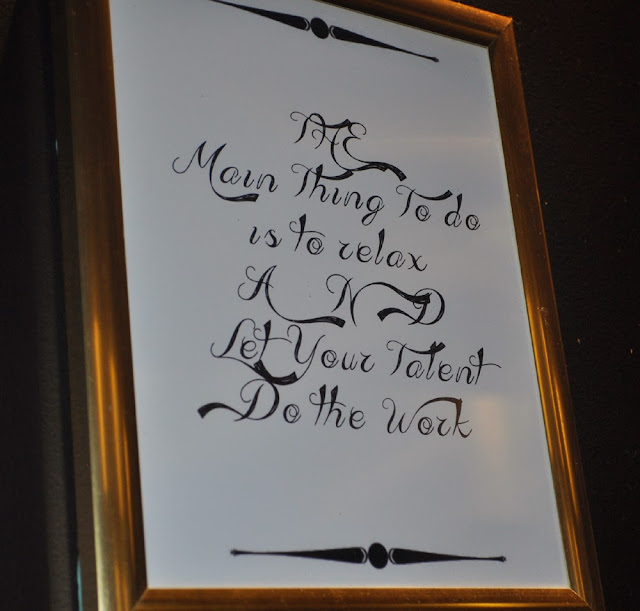 My concept is that of a boutique hotel lounge, where one can relax and luxuriate in a quiet setting. 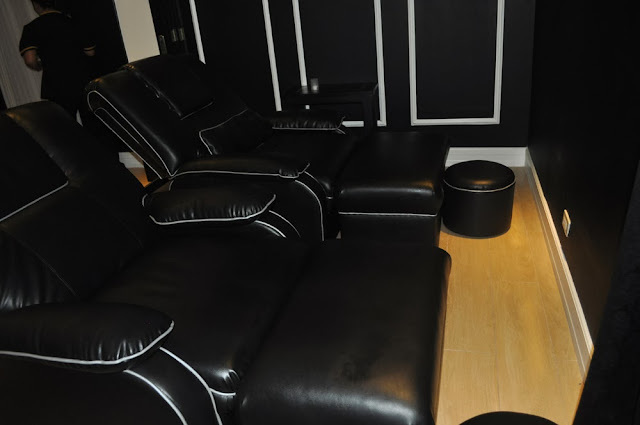 The black-and-white decor is a conscious effort to steer away from the usual look and feel of Zen massage lounges. It has a plush customized massage couches in rooms that are quiet, private and comfortable. The temperature controlled dim lighted massage rooms that their own TV sets can accommodate couples or even a sparty of up to 14 guests. I love that they provided these flip flops ♥ The end of a hard day of work and play equals sore soles that definitely need quality pampering. My foot was soaked in a relaxing hot water. Yes, soaking our feet in hot/warm is not refreshing to our feet, but likewise improves our health and promotes longevity. It is more than just treating your footsies with the Deluxe Foot Massage that costs for only P600 which focuses on foot reflexology, the therapist also work their magic on back and neck pains and soothe away my headache goodbye! They massage your head, your back, your legs but give more focus on the legs and the feet. The therapists can also work their magic on back and neck with The FML Signature Massage that costs only P750, for 75 minutes of blissful shiatsu and reflexology treatment that works out the knots and aches brought about by overwork and stress. Ms. Cat describes it as "the best 75 minutes of dry massage in a very unique and relaxing ambiance. Here, everything is personalized. 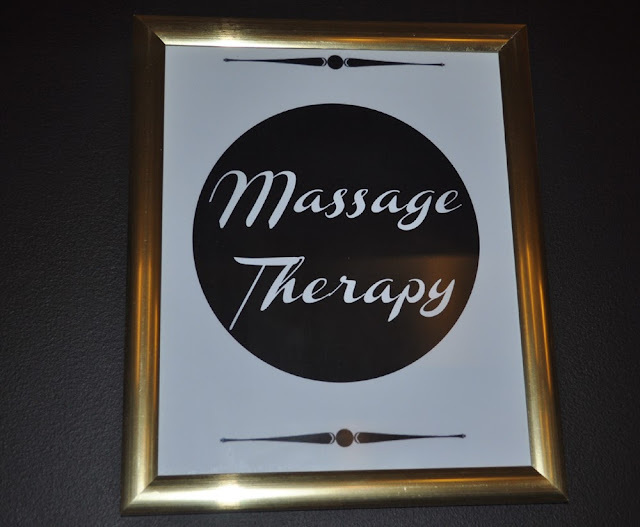 Before your sessions the receptionist asks what kind of pressure you prefer for your dry massage, and if you would like a male or female therapist for the service." 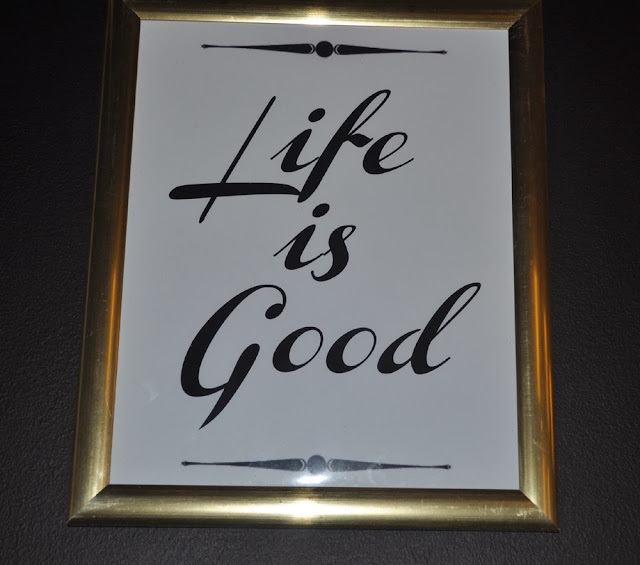 Other wholistic health benefits of the massage, according to research, are stimulating or soothing the nervous system, enhancing skin condition, aiding in digestion and intestinal functions, and boosting the immune system. 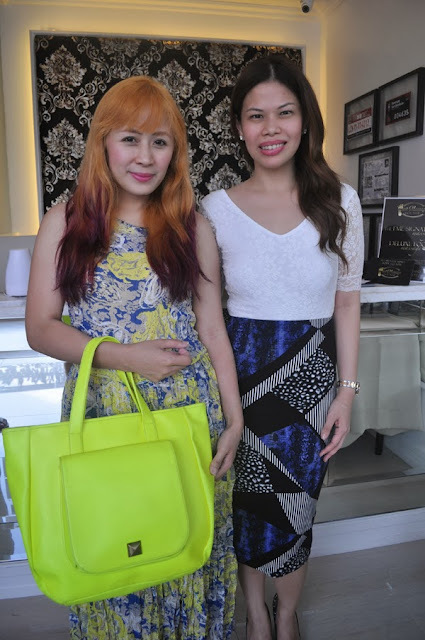 Group photo with blogger friends and The founder of Foot Massage Lounge and Posh Nails, Ms. Cat Ilacad and Marcie Linao of Love and Light Productions! Also thank you so much! Your feet work hard to take you to the top. It is about time to treat them to a relaxing journey that is designed to rejuvenate the mind, body and sole. Also don't forget Christmas is coming! Have you started shopping for those people on you list? Unsure of what to give that difficult person on you list?Why not buy them a gift certificate for a foot massage? Everyone loves a massage and a little pampering! They will love it! 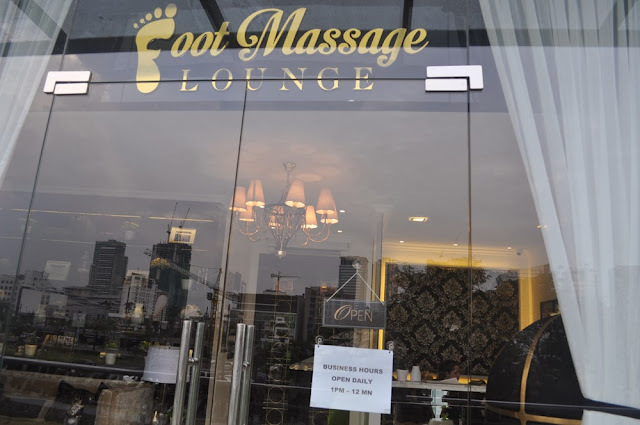 Foot Massage Lounge is located at 2/F Forum South Global Bldg. Bonifacio Global City, Fort Bonifacio, Taguig City. Girl, buti nalang sa gitna ka pumuwesto sa shoot. Standout ang hair...lol..Pero kidding aside, ok lang naman talaga hair mo e..was actually trying to look for other angles, but I don't see anything wrong..hmmm.. Honestly sobra natuwa din ako sa hair ko ngayon, I am so loving the attention haha! Ang sarap nung nag stand out lage sa pictures and malayo ka pa lang kita ka na and that everyone will look at you. :-) Nakatuwa lang. Thank you. Yes perfect pampering for everyone! Perfect din talaga gift. Yes the wallpaper and the interior designing talaga was so perfect. hay nakakaingget buti ka pa Ms.Rochelle nakapag relax, how i wish i have the chance to pamper myself, yung isang buong araw na puro pagrerelax at pagpapabeauty lang, just to give myself a break. Super toxicated kasi sa work, house and a lot of things. Kaso my december schedule is so tight. nakakastress din minsan, although makita ko palang kids ko happy na ako. pero somehow i need that kind of relaxation. I like the ambiance of the whole place very elegant, not intimidating and they offer good service, I guess the price is reasonable naman. kelan ko kaya maexperince ulet luxurious pampering like this, hihi thanks a lot Ms.Rochelle for sharing your experience. Oh btw i love your bag! Tellie, You should try to come here pa din. It is like heaven sent. Super love this pampering day. The therapist was so good! As in sobra ako nagrelax :-) Kahit na 2 and half hours inabot ako sa traffic pauwi, as in relax and stress free pa din ako. Yes mostly Mothers need pampering :-) Para lage maganda at stress free talaga. 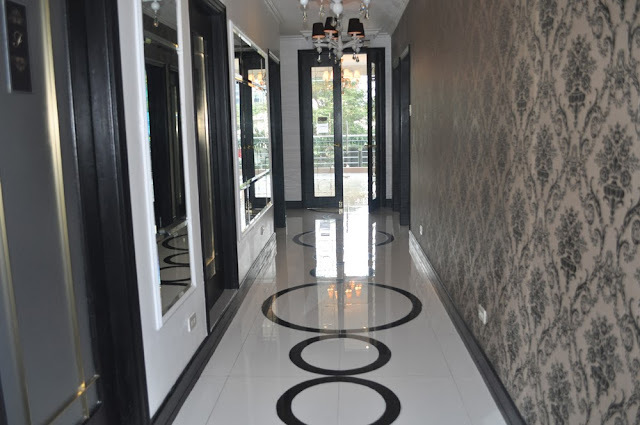 I soo love the combination of their black and white hallway.. the wallpaper and the lounge? Wow. Sobrang saya ng holiday mo Ms. Rochelle, from everything na nababasa ko sa blog mo lately. Ang ganda nga ng place, very royalty ang dating. Anyone na pumunta dyan would really love the place. Ang ganda at very serene tingnan. Was that for free sa'yo? Nasa labas ka pa lang ng lounge nila, very relaxing na ang atmosphere nila. What more pag pumasok ka? Ganda nga. I like your OOTD too. very vibrant and simple ang dating. It matches your hair. 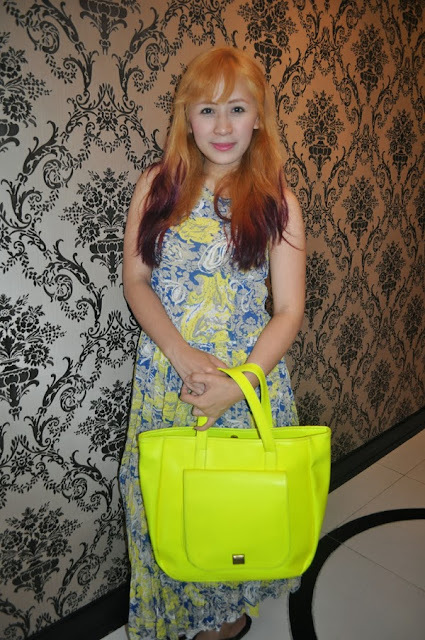 Mas lalong nakikita yung ganda ng effect ng hair color dahil sa outfit mo. Very nice naman ng mga furnitures nila, yon agad ang napansin ko. 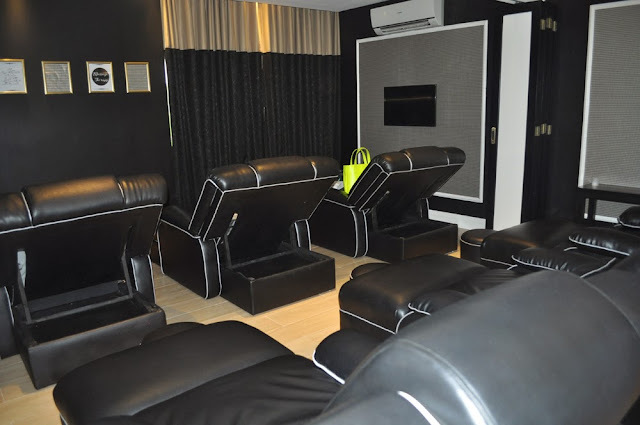 Captivating ang look ng Foot Massage Lounge nila, sarap talaga pumunta dyan at magpa pamper. Wow naman, kasama mo pala ibang mga bloggers, and I can truly see their happy faces na enjoy sila sa place. Their place looks classy and sooo professional looking. Sila 'yong tipong pag gusto niyo magrelax after business meeting e doon kayo pumunta. Executive na executive ang atmosphere pa rin. Their color doesn't look relaxing though kasi parang nasa business area ka pa rin. pero okay naman xa para in that way, mafeel mo na VIP ka talaga. hehe. I love your neon bag by the way! 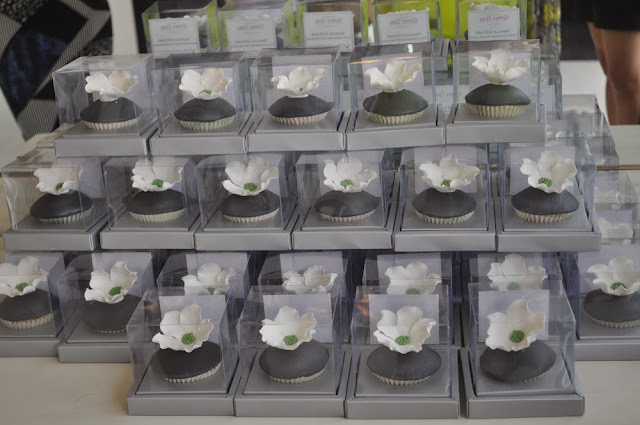 Those cupcakes look classy and businesslike too! how much kaya isa? the place looks very elegant and fit for a queen. too bad BGC is far from our house. i hope they could put a branch in quezon city. Its always nice to have a "Me" Time every now and then. Basing on the price, hindi siya mabigat sa bulsa and kayang kaya ng mga gusto magpamper. Very affordable na, relaxing pa ang place at ang facilities nila. Sulit na sulit sa mga customers na papasok sa spa nila. Last Sunday, I was in BGC together with my friends and nadaanan namin to. Naalala ko tong post na to, kaya I decided to comment again para sabihin na ang ganda talaga ng ambiance nila kahit nasa labas ka pa lang. Although hindi ako pumasok sa loob, mapapansin mo kagad siya dahil sa ambiance niya. is really dedicated for those who are in need. It is very immoral if the product is created just to make people suffer. My mom very much thankful for my Mother's day gift. That gift is best foot massager brand machine. My mom was had foot pain but after using that it make him pain free.